If you're travelling from the Netherlands take advantage of this cost effective offer from Stena Line. Watch this space for regular offers and packages for London. If your're travelling from the Netherlands youropi.com has an arrangememt with Stena Line. You can cross for just 45 euros by ferry then train to reach the heart of London. The crossing from Hook of Holland to Harwich and the transfer train from Harwich to London Liverpool Street Station is included. With no airport taxes and no luggage restrictions you can shop to your heart's content. Take the overnight sailing from Hook of Holland leaving at 10.pm and you'll be at Liverpool Street Station by 9.00am the next morning with a whole day of exploring ahead. 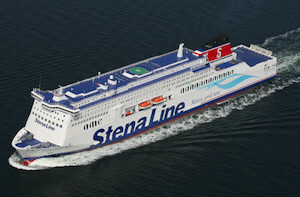 See here for more information on Stenaline . • return train tickets Harwich - Liverpool Street Station (or any other Greater Anglia Station) From 90 Euro per person.